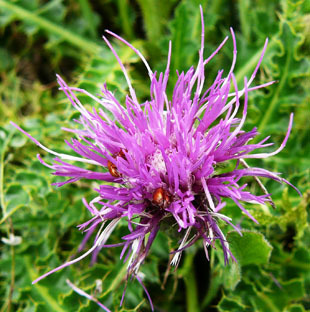 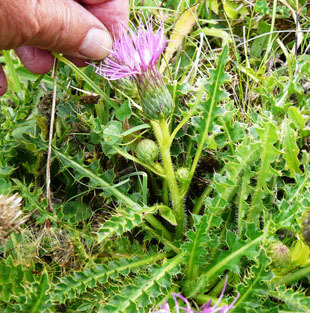 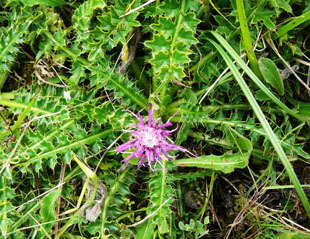 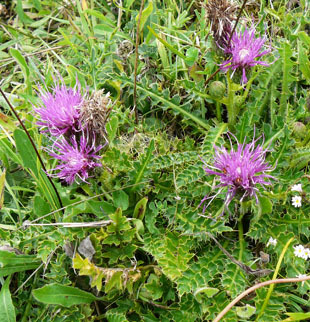 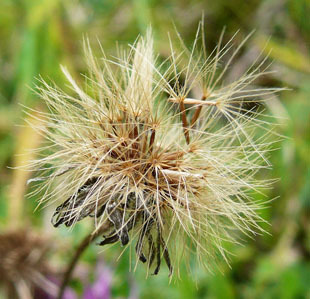 It grows on lightly grazed chalk grassland and limestone turf. 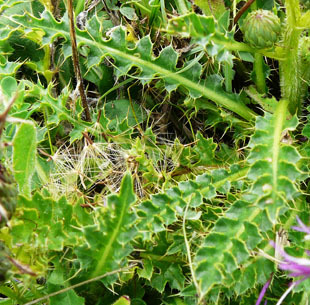 Leaves are spiny, shiny on both sides and in a prostrate rosette. 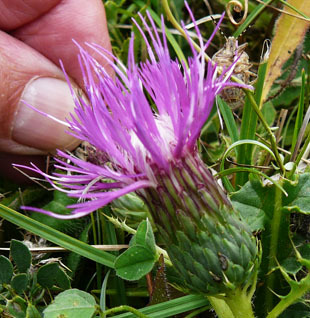 there is a short stem with flower buds in the axils of the leaves.